A recent meeting between different Karen armed groups reached a decision that the Karen National Union is to lead the groups political agenda. The meeting held on February 29, 2016 at the Karen National Liberation Army’s headquarter in Pa-an District, Karen State is a regular event among the Karen Armed Groups Unity Committee that represents various the KNLA, KNU/KNLA Peace Council, Democratic Karen Benevolent Army, and the recently reformed Democratic Karen Buddhist Army. General Saw Johnny, the Chief-of-Staff of the KNLA told Karen News that the main purpose was unity – to work together. The discussions at the meeting mainly focused on unity and issues that are now causing problems amongst the groups. The groups agreed in principle to work towards a united armed force. Major Saw San Aung, from the recently reformed Democratic Kayin Buddhist Army, told Karen News. The Karen Armed Group Unity Committee was formed in May 28, 2013 with representatives from the different Karen armed groups including KNU, DKBA, Karen Border Guard Force, KNU/KNLA-Peace Council, Karen Peace Force and Padoh Aung San’s led Payar Gon Karen peace group. 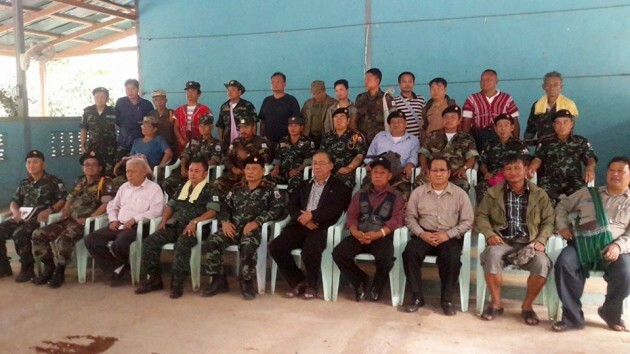 There are forty representatives from the Karen armed groups that attended the meeting. The Karen BGF and some other representatives from smaller groups did not attended.